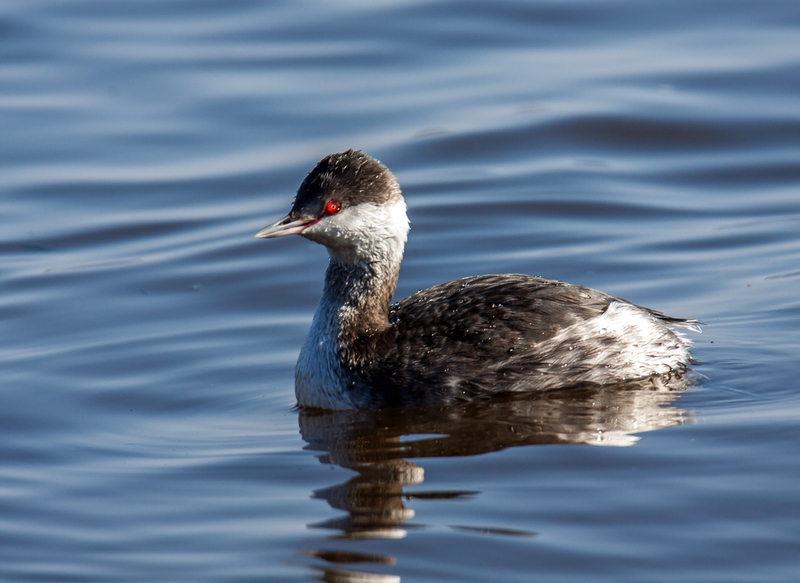 This past weekend I spotted a Horned Grebe (Podiceps auritus) while exploring Occoquan Bay National Wildlife Refuge. I tend to see this little diving waterbird only a few times a year and often it is so far from the shore that I am not able to capture a decent shot. This grebe was within range and I watched it dive and resurface multiple times, hoping it would turn toward the sun so I could see its amazing looking red eyes trimmed with gold. Eventually my patience was rewarded and it turned in the proper direction. The second image is merely a closer crop of the first one that gives you a closer look at those fantastic red eyes. Wow! 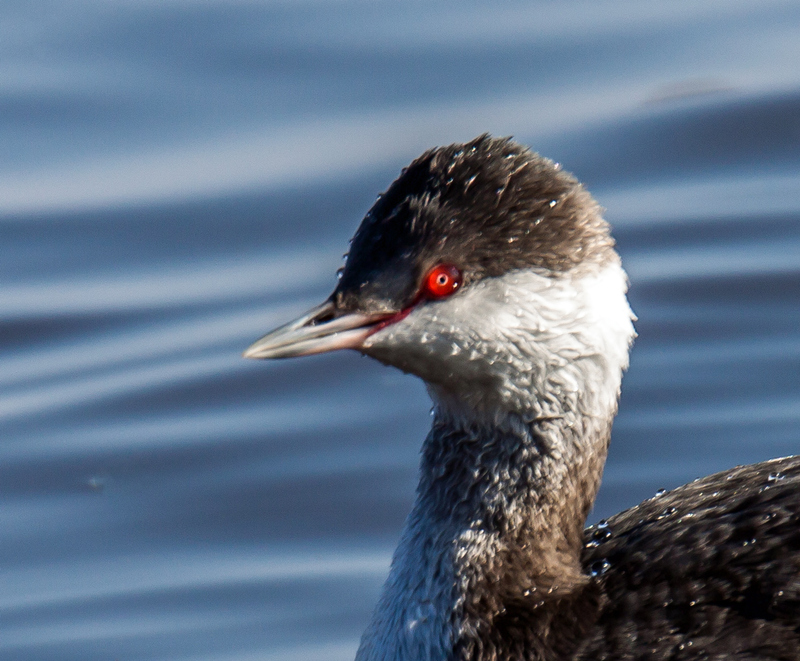 Most diving birds seem to have these red eyes, must be something to help them see underwater. Nice shot Mike. Wow – those eyes are mesmerizing. Nice Mike! Very intense red eyes! I totally agree. The red eyes seem so freaky.